BLOOD ORBIT giveaway on Goodreads! 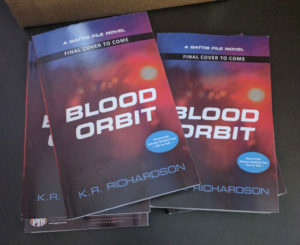 Hey there, figured I’d better let you all know that my publisher, Pyr Books, is giving away advance copies of Blood Orbit at Goodreads. Sign up between now and 11:59pm March 30 for a chance to win! 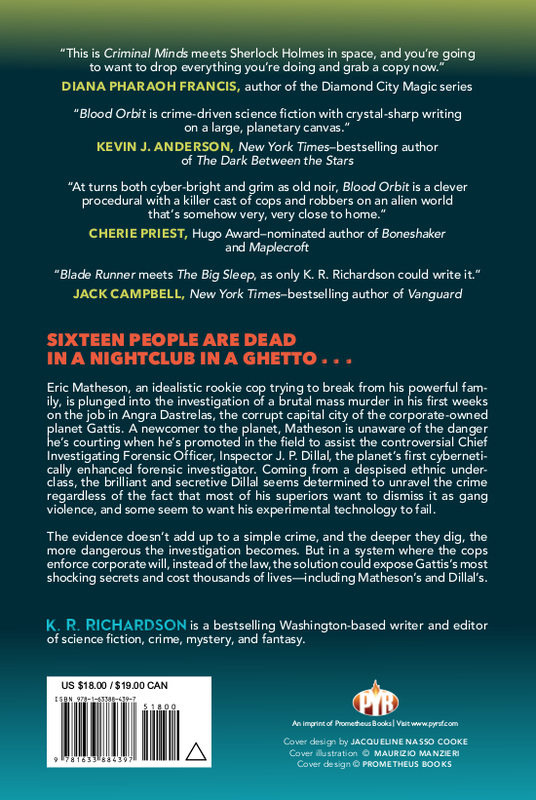 Comments Off on BLOOD ORBIT giveaway on Goodreads! It snowed a little here last night. Banjo loves it; Jack thinks it’s weird. I had to rush the copyedit and proof reviews in two weeks (a week each, back-to-back) and sent the proof corrections back on Friday. So I was quite chuffed to find five copies of the ARC on my front walk this morning. 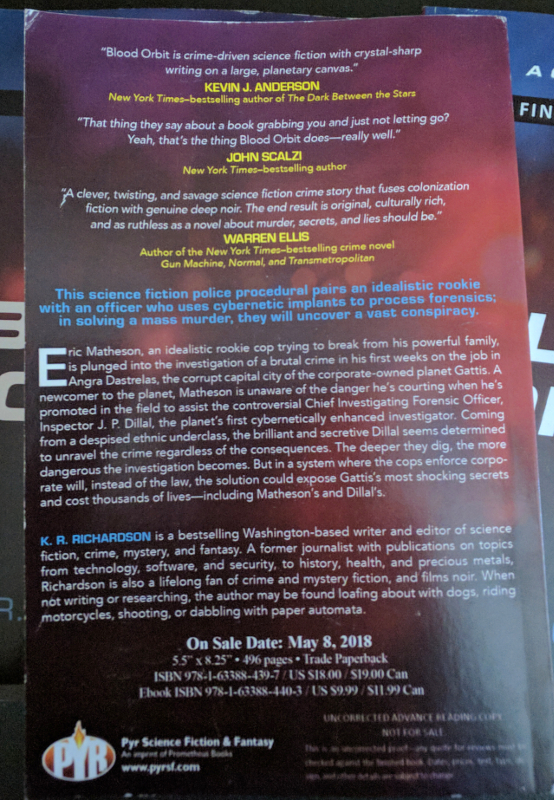 No final art, cover copy and quotes may change, and things were definitely changed in the copyedit, but it’s so nice to see these! 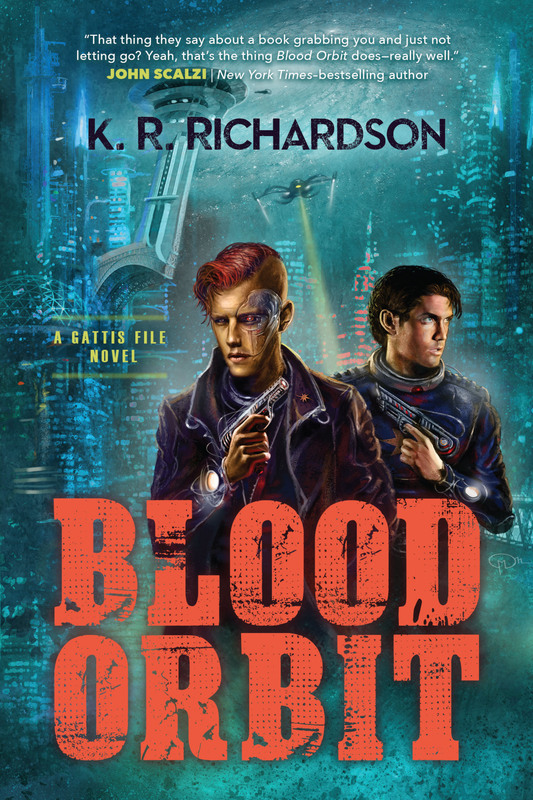 Front cover (no final art) of Blood Orbit ARC. 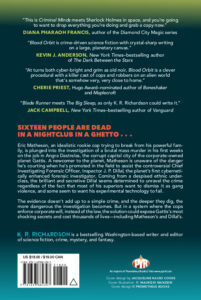 Back cover copy and quotes for Blood Orbit ARC. 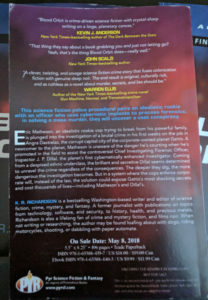 Comments Off on Blood Orbit ARCs! 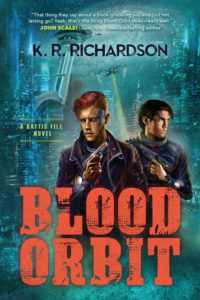 My upcoming SF novel, Blood Orbit, under the K. R. Richardson name now has an Amazon listing. A B&N listing. A Random House for Teachers listing. And even a listing at Browns Books for Students in the UK. Must be a real thing, now.